Princeton’s foremost fishmonger is hitting the big three-oh and to mark the occasion owner Jack Morrison and crew are holding an outdoor lobster bake at the Nassau Street store on Saturday, September 8, from noon to 4 pm. There’ll be live music by Pi Fight, family activities, and trivia, but the centerpiece will be the lobster bake, which includes a one-and-a-quarter pound lobster, Jersey corn, steamed potatoes, coleslaw, drink and dessert. 1982 was a good year, and $19.82 is a great price. Just show up at the appointed time at 256 Nassau Street. 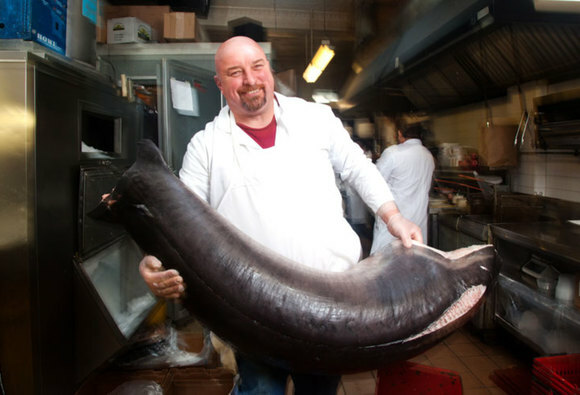 While we’re on the subject of seafood…. Grilled Sicilian eggplant with blueberries, pistachios, burrata, golden raisins, tomato confit. Bloody beet steak with yogurt, pan drippings, aged balsamic, amaranth. Marlin with cherry tomatoes, anise hyssop, red grapes, purslane, cucumber. Next time I hope to try Chicken Its & Bits: terrine, cockscomb, liver, oyster, concord grape. Yowza! The Lawlers have a pretty impressive pedigree: she was sous chef at Picholine and he chef de cuisine at Blue Hill at Stone Barns. 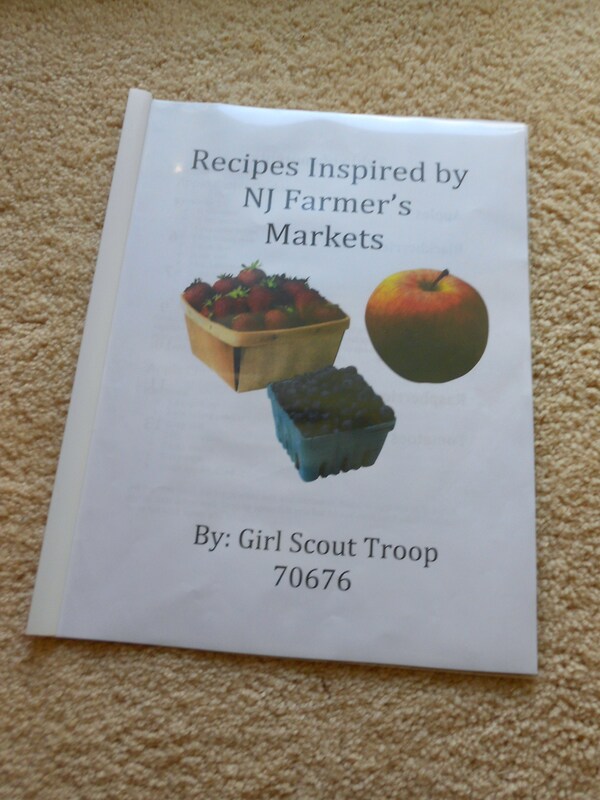 If you stopped by the West Windsor Farmers Market on some Saturdays in August you would have come across a table of Girl Scouts with a sign offering FREE COOKBOOK. Well, that’s a siren song I never resist, and what I found impressed me. The cookbook – a glassine folder of 25 recipes – was but one result of their journey towards earning the Girl Scout Gold Award. Under the guidance of Lynn Mahmood and Angie Crichton of Princeton Junction, co-leaders of Troop 70676, seven of the troops, all incoming high school juniors this fall, had tackled the “Sow What?” project. Each of the girls had visited a local farmers market and then together toured Cherry Grove Organic Farm in Lawrenceville. They also calculated the food miles of popular supermarket items and the resulting carbon footprint. 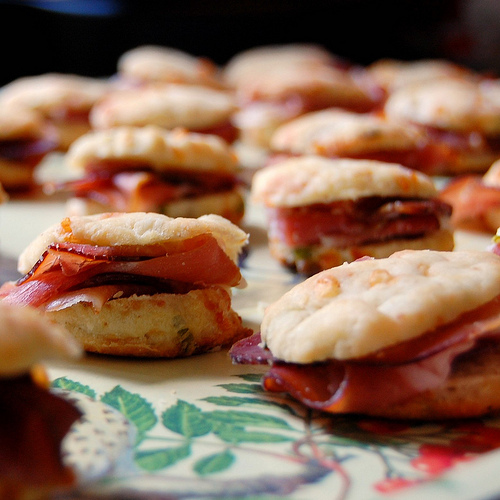 Scout Lauren McTigue took on the task of developing the cookbook. She elected to focus on recipes for apples, blackberries, blueberries, cherries, cranberries, raspberries, and tomatoes, and uncovered a series, new to me, of charming recipe booklets with “Old” or “Old-Fashioned” in their titles. All are by J.S. Collester, a historian at Indiana University. Among the 30 titles Collester produced through Bear Wallow Books are, besides those that focus on each of the above ingredients, those for pumpkin, cheese, candy, bread, bread puddings, and honey-maple syrup-sorghum. Others offer traditional Shaker, pioneer, fishing village, and Native American recipes. All are charming, inexpensive, and available through small distributors like AbeBooks.com and Kauffmansfruitfarm.com. When I came across the old-timey tomato soup recipe in the Scout’s folder, it made me realize that although I use fresh Jersey tomatoes all the time to make gazpacho and cooked and uncooked tomato sauces, I had never thought to make homemade American-style tomato soup. My family loves Campbell’s so, I thought, why bother? Well, because this simple recipe is a taste revelation – not to mention lower in sodium and, as Troop 70676 would point out, food miles/carbon footprint. Combine tomatoes, onion, celery, green pepper, and bay leaf in a soup kettle and cook, stirring frequently, until celery is tender. Push mixture through a sieve or food mill and return to kettle. Make a paste of the flour and butter and stir it into the cooking tomato liquid. Add remaining ingredients and cook over low heat, stirring frequently for 15 to 20 minutes. Garnish with fresh chopped parsley, if desired. Makes 3 cups. This entry was posted in Events, Favorite Finds, Recipes, Restaurants and tagged Abe Books, Bear Wallow Books, Blue Hill at Stone Barns, Cherry Grove Organic Farm, Colin Rooney, Colleen Lawler, farm and fisherman, Girl Scout Gold Award, J.S. Collester, Jack Morrison, Josh Lawler, Kauffman's Fruit Farm, lobster bake, Nassau Street Seafood, old fashion tomato soup, Pi Fight, Picholine NY, So What journey, tomato soup recipe, West Windsor Farmers Market. Bookmark the permalink. Great leads! I’m particularly happy to hear that the Oyster House (now I know it’s real name – thanks!) is back on its game. Great mini-review of F&F. I forwarded it on to them. I’m sure they’ll be pleased. That eggplant dish sounds especially good, with the sweet touches. I’ve been researching recipes for an Italian dessert that combines eggplant and chocolate, lately. Very old I believe, maybe Venetian. And Batali has a recipe for a caponata with cocoa.